Prayer is not a normal part of the life of the natural man. We hear it said that a person’s life will suffer if he doesn’t pray, but I question that. What will suffer is the life of the Son of God in him, which is nourished not by food, but by prayer. When a person is born again from above, the life of the Son of God is born in him, and he can either starve or nourish that life. Prayer is the way that the life of God in us is nourished. Our common ideas regarding prayer are not found in the New Testament. 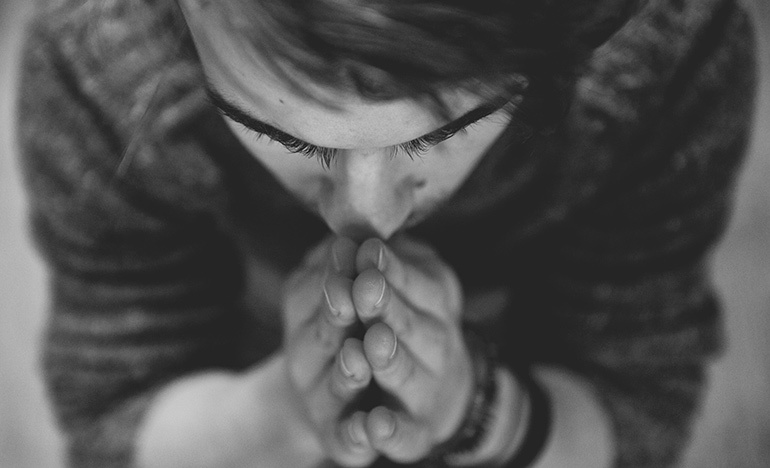 We look upon prayer simply as a means of getting things for ourselves, but the biblical purpose of prayer is that we may get to know God Himself. “Ask, and you will receive…” (John 16:24). We complain before God, and sometimes we are apologetic or indifferent to Him, but we actually ask Him for very few things. Yet a child exhibits a magnificent boldness to ask! Our Lord said, “…unless you…become as little children…” (Matthew 18:3). Ask and God will do. Give Jesus Christ the opportunity and the room to work. The problem is that no one will ever do this until he is at his wits’ end. When a person is at his wits’ end, it no longer seems to be a cowardly thing to pray; in fact, it is the only way he can get in touch with the truth and the reality of God Himself. Be yourself before God and present Him with your problems— the very things that have brought you to your wits’ end. But as long as you think you are self-sufficient, you do not need to ask God for anything. To say that “prayer changes things” is not as close to the truth as saying, “Prayer changes me and then I change things.” God has established things so that prayer, on the basis of redemption, changes the way a person looks at things. Prayer is not a matter of changing things externally, but one of working miracles in a person’s inner nature.